Last weekend saw the Scottish Night Championships and Scottish Sprint Championships take place on the Saturday night and Sunday. Not fancying the night champs, I decided to have a bit of culture instead. Arriving in Edinburgh in early afternoon, I went for a wander around a very cold and icy Arthur’s Seat. After checking into my hotel in Portobello and having a quick dinner I headed back in to town for an evening at the theatre – ‘Touching the Void’ at The Lyceum. 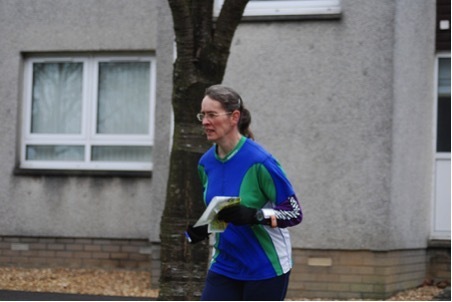 You go all that way and who should be in the seat in front but a friend from Tayside Orienteers (it’s a small world). 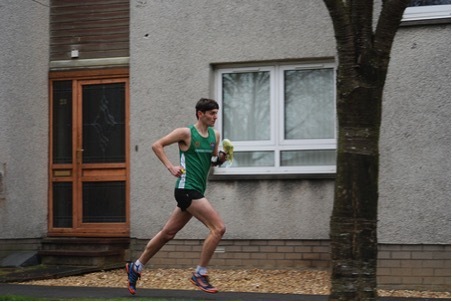 The following morning I headed off to Uphall to the west of Edinburgh for 2 sprint races. The first race was for the Scottish Sprint Championships. The result of the first and second races combined contributed towards scores in this year’s SOUL league. It was pretty cold and a bit icy underfoot so I approached certain sections with a degree of caution. The area wasn’t the most technical for sprint racing with everything being on one level. Multi-level maps are rather more complicated. Even so, Roger Scrutton (ESOC planner) made good use of the area with lots of route choice options. Not being a particularly fast runner, I did not expect to do particularly well. I finished 8th out of 11 runners in my age class (W50). I am happy with this. It was a better result than last year and, according to Winsplits, I didn’t make any mistakes. Tom Lines was also at the event, running under his university club (EUOC) in the M20 class.